Heigh Ho, Heigh Ho, its homeward bound they go! Doc, Grumpy, Happy, Bashful, Sleepy, Sneezy, and Dopey are all here in this intricately sculpted figure from Disney Traditions. 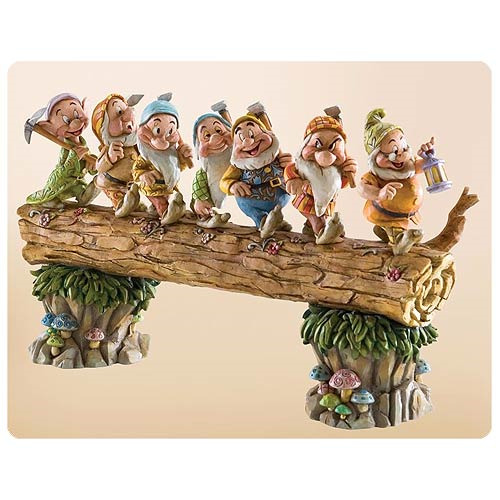 Designed by Jim Shore, the Disney Traditions Snow White and the Seven Dwarfs Log Statue is made of stone resin and measures approximately 13-inches wide x 8 1/4-inches tall x 3 1/2-inches deep. Ages 13 and up.